Buford Watson, age 79 of Blaine, passed away Monday, January 8, 2018, at his residence. Dad leaves a legacy of love, wisdom, strength, and compassion. He was a loving husband to Wendy Leedy Watson, a providing father to eight, and a father figure to many. 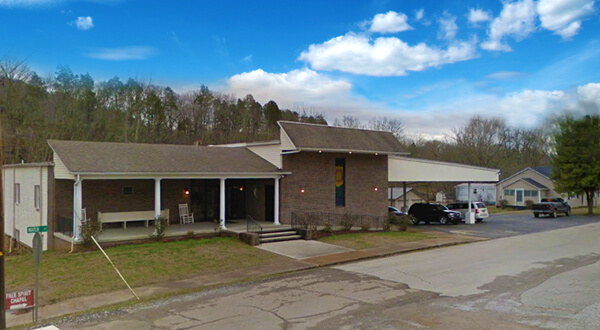 Buford was a founding member of Sonlight Baptist Church, Knoxville, TN. 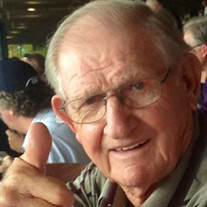 He enjoyed providing family fun opportunities for friends, family, and strangers from his fireworks business of 40+ years to Richland Creek Rodeos. Dad was famous for his Buford burgers and spuds at the Grainger County Tomato Festival where he enjoyed catching up with old friends and making new ones. Buford was most known for his relentless work ethic including iron working, construction on prominent Knoxville locations, and car sales but his passion was mostly time spent on the farm. Buford is proceeded in death by his wife of 30 years, Joyce Mills Watson, and his son, Johnny Watson, parents Ernest and Geneva Watson of Rutledge, and siblings JW & Junior Watson, Winona Hodge, Juanita Dance, Nancy Bateman, and two siblings at childhood. He is survived by siblings Barbara Smith, Swan, Lawrence, & Harold Watson. Jeremy, Darin, Kally, Chris, Jonathan, Mindy, Cody, Bo, & Tanner Watson. Christian Branum, Shelby Turner, Josh & Madison Langley, and Grace Leedy. Buford had 12 Great Grandchildren. His furry companions included Buddy, Toby, & Robbie. Visitation will be held Wednesday, January 10, 2018, 5 to 8 PM at Smith- Reagan Funeral Home Rutledge, TN. Funeral services will be Thursday, January 11, 2018, 1pm at Smith-Reagan Funeral Home with Rev. Eddie Myers officiating, followed by interment at 3pm Eastview Memorial Gardens in Strawberry Plains, TN. Several family & friends will serve as pallbearers. In leu of flowers, donations can be made to Alzheimer's Association, 225 N. Michigan Ave Floor#17 Chicago, IL 60601.